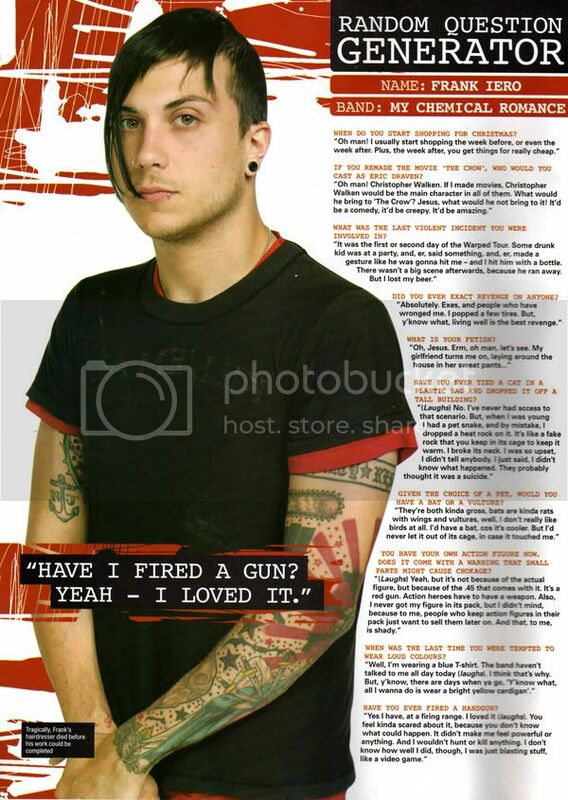 Frank is on the 'Random question generator' in this weeks Kerrang! Killer_odd_sock has taken the time to scan it for us here. Many thanks to you Sock.